I never know how to feel about cats. They're like the cool kids in the cafeteria—if they interact with me I am golden, but if they don't, I pretend that I don't care even though I do. Just a little. I don't want that life, I'm just saying they could appreciate mine for a moment. BUT NOPE THEY'RE CATS. 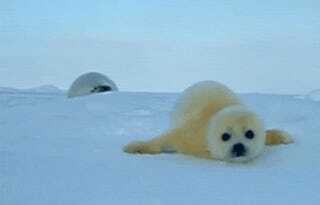 TEAM BABY SEAL TIL I DIE.